Would you rather have Fanta or Limca? Thread: Would you rather have Fanta or Limca? Which one is more cool to have? Whatever happened to Mirinda? That was the best. Especially the mango flavor. That is Fanta's true rival. But have never had Limca. Do you mean Gold Spot? This. Mirinda was the best. Fanta doesn't even come close. I love orange soda. It's my fav. I prefer Orange Crush more over any orange soda. Miranda is too sweet for bhaijaan’s sophisticated taste buds. Limca is an underrated beverage. Limca is good for digestion. For those who do not know doodh soda is a mixture of equal parts milk and 7-up/Sprite. It is popular on the Punjab side and I have to have it whenever I visit the in-laws. I never liked it but my mother's side of the family drinks it everyday. Sprite and Milk in Ramdan is a must for them. Saw a video on YouTube, where milk was mixed with Coke after some hours the solution developed a strange black precipitate, the precipitate accumulated below and on top was clear water. It looked disgusting, I would never drink milk with coke. Milk with sprite is different ? It's relatively popular in Punjab. Is Limca available in Pakistan? I thought Limca was only India specific, previously it was sold by Parley. Coca cola later bought Parley. It's better than Aloo Biryani. Doodh soda is a good remedy for heat stroke. Had it when I had a heat stroke visiting Lahore a decade back. Unfortunately yes, some people even here in the UK swear by it. Some use its an alternative to rooh afza when breaking the fast during Ramzaan. The milk cools you off while the sprite helps with digestion, perfect drink when you're visiting Pakistan. Neither. Both of them are diabetes. I'll drink coffee five times a day though, can't seem to let go of the caffeine addiction. @Syed1 If I'm not mistaken I remember you saying that you stopped intaking caffeine, were there any methods you used? No I gave up and I'm addicted to it. Need minimum one cup a day. I've heard of it now. I've only been in Lahore once, for a few days. Thankfully, I didn't have the misfortune of experiencing doodh soda. Actually scratch that, Pakola is the GOAT soda, but I don't drink it often for obvious reasons. If I lived in Pakistan, then Pakola would be my fav. I like orange sodas, but I find them difficult to digest. I have eliminated sodas from my diet, but my preference was Coke Zero or Sprite with some lemon. Don’t understand the hype surrounding Pakola. It is overly sweet, I can’t stand the strong flowery fragrance. It is also interesting to note that while overseas Pakistanis are big fans of Pakola, the Pakistanis living in Pakistan usually don’t really care about it. I don’t know anyone here that prefers it to Coke, Pepsi etc. In fact, many people have never had it or even heard about it. It is not as easily available as the other soft drinks either. You can find Coke and Pepsi in every nook and corner, but not Pakola. Obviously it has to do with the low demand compare to the alternatives. On a lighter note, the good old Shezan in a glass bottle is still in a league of its own. Few years back, we hired carpenters from Punjab and they would gulp down 2-3 glasses of doodh soda every night after a long, hard day. I haven’t been able to muster the courage to try it though, but I think I will give it a go tomorrow. Aren't you from NYC? You can get Pakola at any desi grocery store. Count me as the first, then. Though I have sodas once a month at best. Coke and Pepsi are just disgusting. I guess i am the only fan of murree brewery's fizzy drinks here? I like their BIGG Apple and BiGG Lychee brands. Also the rare and elusive Pakola Raspberry. The king of all flavored sodas. Would look for it back when I used to live in Pakistan, could only find it few times in my years of living there. I also prefered Miranda. But tbh in the UK Miranda doesnt taste that nice but Fanta does. We do not have Limca here in Pakistan but i like Fanta. I've had it just once,when I went to Lahore a few years ago.It was bhens ka doodh too. I haven't had it again and don't plan to. No.I haven't seen it in Pakistan. I saw it in multiple shops in Dubai last year. Limeca is only availible in India not in pakistan. Fanta and Mirinda have the worst kind of orange flavor I have ever tasted. Tastes like chemicals. its owned by Pepsi, Coke and Dr. Pepper. Haven't had Limca, but Miranda strawberry, or Miranda orange, over Fanta (orange). But then again, Fanta has an array of flavours including fruit twist, which is, oof! Love it! If Pakistanis have not had Limca they have really missed out on a drink that is in a league of its own honestly. It has no direct competitor in India. I wish you had limca in Pakistan. It tastes like detergent. Absolutely vile, I have expressed this opinion to relatives who proudly serve it, but it's just met by blank stares before they down another jug of it. Last edited by hadi123; 11th July 2018 at 01:16. Seems like it is an "acquired taste". Just had doodh soda, what a pleasant surprise. Absolutely brilliant, and very good for digestion as well. Limca is available in India???? I never seen it in stores since childhood days. Its common in India. Especially Delhi. To some its the best soda available, others find its taste like detergent. Last edited by Kaptan; 11th July 2018 at 09:26. Limca is quite widely available throughout India. Im surprised you havent seen it much. In Punjab, Delhi at least it is there at all grocery shops. Limca is there in my refrigerator at all times. There are times when i just want a Limca and nothing else can replace. Pakola, like Muree Brewery has a limited distribution network. And yes, expats are more of a fan of Pakola than the ones here. Pakola is something that you can only have once in a while unlike Coke etc. Not sure about Pakola but I have seen people mixing mango with coca cola and calling it Mangola here. Had tried Doodh with Coke as well many years ago but that was only once. We don't have it here. I guess region specific. 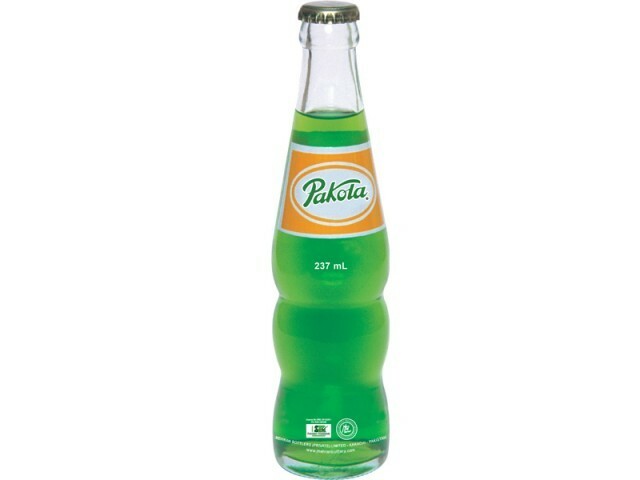 Pakola is local Pakistani soft drink. Very popular with overseas Pakistanis who get nostalgic while drinking it and reminisce about back home, within Pakistan it is consumed but not as much as the foreign soft drinks. It used to come in a distinctive glass bottle but those have gone out of fashion now, and now it comes in a can or plastic bottle. It has a very bright green color to really drive home the Pakistaniat. Pakistanis drink weird drinks.... Doodh soda.... Sounds yacky. I just mix Red Bull with coffee. Eww..... Pakistanis have weird taste. But I am seriously hit by this whole doodh + soda concept. What sort of a crazy human experiment is this  It’s unimaginably odd. Aroras are basically medieval pakistanis, so good comparison. yes, I like anything with lemon flavour. Also like Dr Pepper and Dr Brown's soda. Added dash of milk to Coke Caffeine free. And wow!!. An iced coffee - caffeine free ofc. Thought it'd curdle but no, I've a new favourite.